The Google Nexus One is no longer the king of the Android hill anymore. 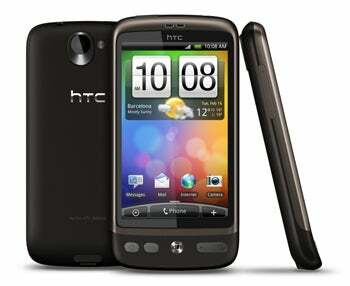 The HTC Desire, unveiled Tuesday, is the latest must-have Android phone. The handset is basically a Nexus One on steroids and is sure to put a pit in the stomach of any new Android owner who thought their phone was the coolest. What's so special about the HTC Desire? It's roughly the same specs as the Nexus One, adding the very cool features of multitouch, Flash Lite 4 and the HTC Sense user interface. The HTC Desire is expected to come out sometime at the end of March, with no word on who the carrier will be (many suspect Verizon Wireless). So if you bought a Nexus One last month, your phone is already old news - dare I say obsolete. Motorola Droid owners should be familiar with this script, as this happened to them as well -- only two months after they bought their shiny new top-of-the line Android phones, it got replaced by the glitzy Nexus One. Despite the fact that there's better Android hardware out, each of these new phones also come with upgraded software versions. Software updates can take months to filter down to older devices, if they actually do. And then you get new Android phones, such as the Sony Ericsson Xperia X10 mini and mini pro, which are expected some time in Q2 this year, yet they will only come with Android 1.6, underneath a customized user experience. The ETA for the latest version of Android (2.1) on these phones is unknown. Confused yet? Making sure your Android phone isn't out of date is feeling like a fulltime job. Everybody was excited at the prospects of an army of Android devices coming up this year, but the bigger picture of the Android ecosystem is getting more and more complicated. You get a bunch of new phones, such as Nexus One, HTC Desire and SE Xperia X10, all with different skins from their manufactures (HTC Sense, SE Timescape), and all with different OS versions. Then you get a better Android phone every two months, just after you committed to a two-year contract with a carrier -- it's just off-putting and confusing. Add that to the fact that not all Android apps are compatible across devices running on the platform, mainly due to hardware differences, and you're left with a dilemma. Is there any point in buying the Nexus One if the HTC Desire is coming out next month? Will all my apps work on it? (When) will I have the latest OS version? In its quest to conquer the iPhone, Google might end up creating more confusion than buzz with Android.